When I asked my sweet half what Dessert he might like for Valentines Day . . .
his response didn’t surprise me at all. I knew what he would say. This just happens to be another family favorite recipe. We make it often. The recipe calls for Maraschino Cherries & Almonds, but you could substitute if you like. It stays moist and the top crust is irresistible! I purchased this unique pan quite some time ago, from Target. It has four different shapes of bunt designs. One of those shapes is a heart, so it was perfect to use for Valentines Day. 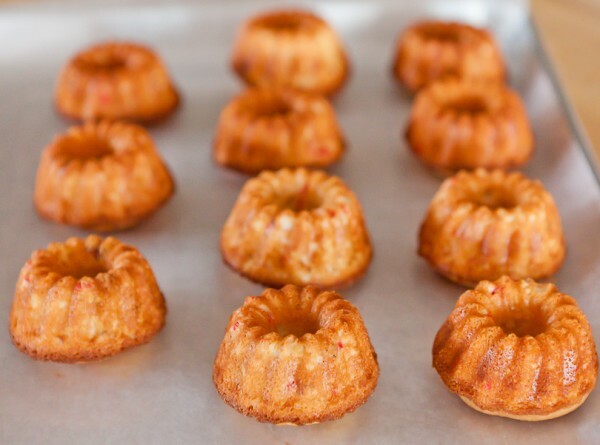 After filling the medium sized bundts, I also had enough batter left for 12 tiny little bundts. You don’t need either of these pans, to make this delicious Pound Cake. Just an ordinary Bundt pan, or even 2 lg. loaf pans will due you just fine. 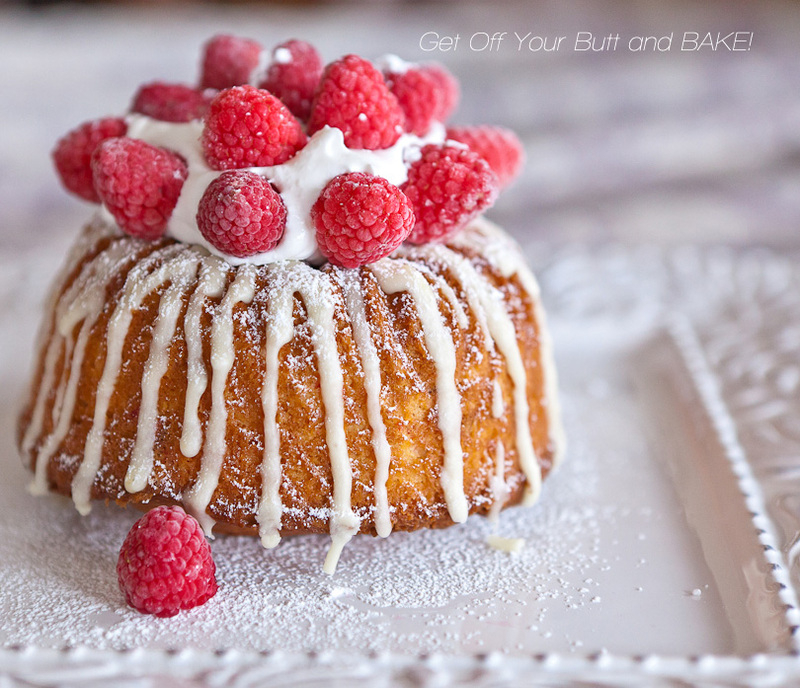 This size of bundt, seems to be perfect, to share with your favorite person. The smaller size is perfect . . . just for you! This Pound Cake also freezes well. If you’re a chocolate lover, you could put chocolate chips in the batter. It would also be luscious drizzled with a Chocolate ganache! Ohhhhhhhh . . . I would like that, but my sweet half would not! 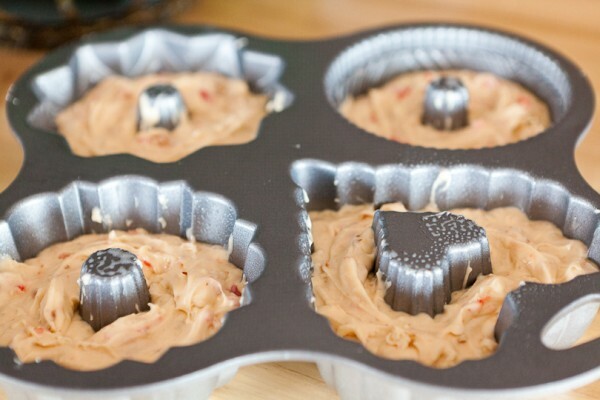 All I did to make them a bit fancier, is fill the hole in the center with sweetened Whipped Cream. I pulled Raspberries from my freezer, and plopped them on top of the whipped Cream. All that picking this summer, pays off in the long run. It’s delicious on the inside . . .
It’s delicious on the outside!